Fresh from their sell-out hit shows Midnight Tango and Dance 'Til Dawn, Strictly superstars Vincent Simone & Flavia Cacace have created their most moving production yet as they prepare to dance in their final ever show. 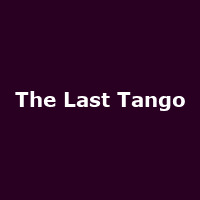 Twenty years of dancing together has seen them become Strictly Come Dancing favourites, World Dance title-holders, create and star in their own West End productions - but now it is finally time for the nation's best loved Argentine Tango Champions to say goodbye to the stage in a thrilling, new, live performance. Don't miss your last chance to see this beautiful couple do what they do best live, in an intimate, passionate and explosive experience - it's time for The Last Tango."